Quality nursery stock for beautiful landscapes! As the owners of Sunset Acres Nursery, we have years of experience and knowledge in the line of trees and shrubbery, etc. 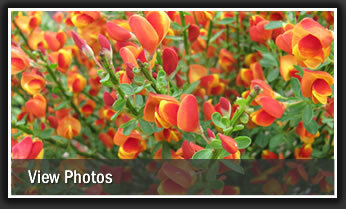 In the spring of 2007, Sunset Acres Nursery was established to retail quality nursery stock. We’ve built our success on great service, quality, excellent prices and desire to create a breathtaking environment suited for your personal needs and desires. We provide service to residents looking for a budget-friendly way to increase their property value and make the most of their garden, yard or patio. We do home renderings and deliver to nearby locations. We strive to please our customers by buying from the best wholesalers in order to provide the finest quality in nursery stock. We grow our own trees, ranging anywhere from a small 7-15 gallon container tree, to a large field-grown 2" caliber tree. Our mission is to provide breath-taking landscapes for our customers. ©2012 Sunset Acres Nursery | 41 Cocalico Creek Road • Ephrata, PA 17522 • 717-859-1928 | Website by WebTek.